According to NetMarketShare’s January 2018 data, 42.39% of users are still using Windows 7, even though on January 13, 2015 Microsoft discontinued mainstream support for Windows 7. This meant that they no longer provided non-critical security updates, design changes or complimentary support for the operating system to end users. Now the discontinuation of extended support also draws near. On January 14 2020, Microsoft will discontinue extended support for Windows 7, which means they will no longer provide updates, bug fixes or paid support for businesses using the operating system. This date announcement is important as it gives businesses that are still running Windows 7 the opportunity to upgrade to Windows 8.1 or Windows 10 (Windows 10 is the recommended upgrade as it is Microsoft’s latest OS and is still within the 5 year mainstream support period). There are several risks in not upgrading your OS once the extended support ends. Malware, which is software that is specifically designed to disrupt, damage, or gain authorized access to a computer system, is particularly pernicious. When Microsoft discontinues extended support, systems running Windows 7 will become significantly vulnerable to un-patched security risks within the OS and applications it runs. This means that upgrading will become essential to remain protected against the massive amount of malware samples that hit the web each day, not to mention the billions of malware samples that already exist. 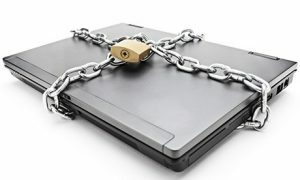 Ransomware, a type of malicious software designed to block access to a computer system until a sum of money is paid, is another significant concern – particularly following 2017’s WannaCry attack and the various ransomware attacks that followed. The WannaCry ransomware attack was a May 2017 worldwide cyberattack by the WannaCry ransomware cryptoworm, which targeted computers running the Microsoft Windows operating system by encrypting data and demanding ransom payments in Bitcoin. It propagated through EternalBlue, an exploit in older Windows systems. While Microsoft had released patches previously to close the exploit, much of WannaCry’s spread was from organizations that had not applied these, or were using older Windows systems that were past their end-of-life. Thankfully the attack was stopped within a few days of its discovery due to emergency patches released by Microsoft, and the discovery of a kill switch that prevented infected computers from spreading WannaCry further. However, the attack was estimated to have affected more than 200,000 computers across 150 countries, including businesses, universities, hospitals, banks and police with total damages ranging from hundreds of millions to billions of dollars. While it is important to note that upgrading your OS to the latest versions and keeping patches up-to-date does not make you invulnerable, it is always best to maximise your defences as unpatched systems are vulnerable. Ransomware – Just how much of a threat is it? Ransomware is becoming quite a common method of cyber extortion for financial gain. This is a type of malware that prevents users from accessing their files, applications or systems until a ransom is paid, usually using an anonymous currency such as Bitcoin. While individual computer users have long been targets of ransomware, over the last couple of years, the threat has expanded. Ransomware has been in mainstream media of late due to attacks against organisations such as hospitals. It’s important to note that not all ransomware operates the same way. The file-encrypting type is probably the most dangerous. Not only have you lost access to your own files, but this data often contains confidential material, and the perpetrators technically do have full access. The issue is made worse however because paying the ransom offers no guarantee that the files will be unlocked. Ultimately, making frequent backups is by far the best defence against ransomware. Since the average figure demanded is relatively low, usually only a few hundred dollars, the attackers tend to spread the attack quite far, and just randomly to maximise their potential gains. These are usually in the form of emails with malicious attachments, or links to malicious websites. Through this increase in ransomware activity from mid-2015 to early 2016, there has been a myriad new variants of the attack. TorrentLocker: Throughout 2015, we’ve seen the continued distribution of TorrentLocker, a ransomware attack based on both CryptoLocker and CryptoWall. TorrentLocker has been active since at least early 2014 and is most often used in geographically-specific spam campaigns. 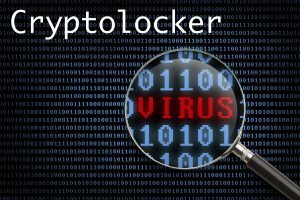 CTB-Locker: CTB-Locker – a name that represents the key elements of the ransomware, Curve (for Elliptic Curve Cryptography), Tor and Bitcoin, was first reported around mid-2014 and remained steadily active throughout 2015. During this time, we saw many campaigns spreading CTB-Locker and its variants, including CTB-Locker distributors capitalising on the free upgrade to Windows 10. They did this by sending out emails masquerading as Microsoft emails offering the upgrade. Chimera: The operators behind the Chimera ransomware used the malware to encrypt victims’ files, but also threatened to publish the encrypted data if victims refused to pay the ransom. The attackers targeted German-based small and mid-sized businesses in mid-September 2015. LowLevel04: Operators of LowLevel04 purportedly spread their ransomware using the less commonapproach of exploiting Remote Desktop and Terminal Services. Linux.Encoder.1:Linux.Encoder.1 debuted in late 2015 as one of the first ransomware variants targeting Linux web-based servers. While the encryption capabilities in the early versions proved to be suspect, many reports alleged faults in its predictable encryption key. The targeting associated with this branch of malware family is far from more traditional Windows-based attacks. We expected to see the ransomware threat landscape increase from levels observed in 2015, and sadly we have been right. Cyber extortion has gained notoriety and momentum, with huge profits from highly publicised campaigns spreading among cyber criminals. Recent campaigns in which victims paid the ransom reinforce the success and popularity of this particular attack method. One of the most worrying threats is the deployment of ransomware after the attackers have already had access to the network. In these cases, attackerscould conceivably conduct reconnaissance and even disable or delete backups, or identify systems that are most critical to an organisation’s operations before deploying the ransomware. To increase the difficulty of such an attack, enterprises are encouraged to properly segment networks and implement strong access controls. In addition, companies should evaluate backup strategies regularly, and test those backups to ensure that recovery is successful. As always, “offline” copies of backups should be stored offsite in case onsite backups are targeted. Overall, the best way to stay protected is through education. Emails that insist you change settings so you can read them, or ask you to follow a links to access information should be heavily scrutinised. Do you know the sender? Is it likely that person would be trying to share files with you that require you accessing a website to get them? 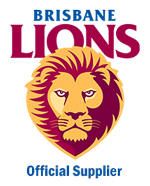 Commonly we say the malicious emails appear from a courier company, or Australia Post telling you a package is waiting for you, and click here fore details etc. Also we have seen emails claiming to be from the Australian Federal Police (AFP) asking you to appear in court. We have also seen others appearing to come from your local council and is referring to parking fines and things like that. Make your staff aware of the real risks of an infection like this, and encourage them to not take the risk opening those attachments. As soon as you notice the infection, shutdown your PC. If you are on a network and you leave the system running, these infections will spread to the server rendering that data useless. The sooner the infected machine is switched off, the less impact it will have. If you do find yourself a victim of one of these attacks, contact the team at eStorm immediately so we can get you back on track. In saying that, prevention is always better than a cure, so call us so we can make sure your backup strategy is comprehensive enough to minimise the impact of an attack like this.